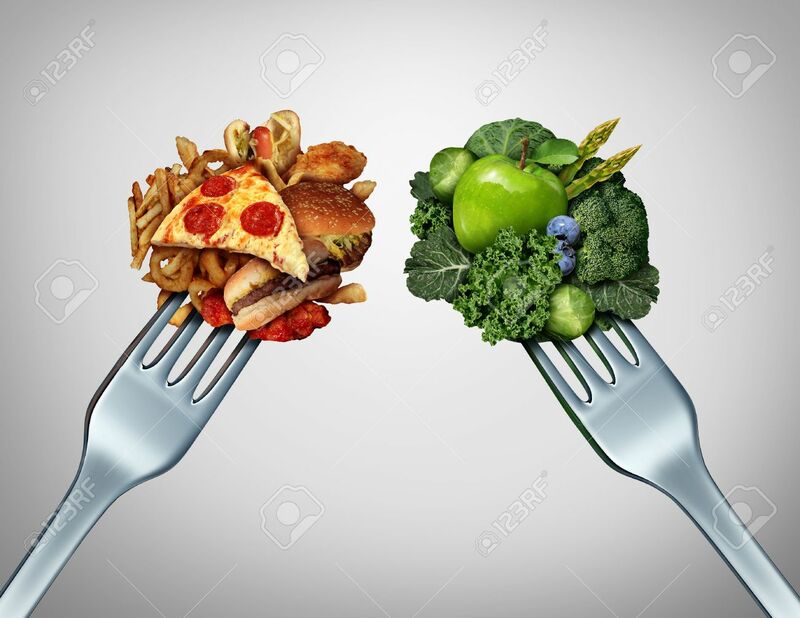 Diet Struggle And Decision Concept And Nutrition Choices Dilemma Between Healthy Good Fresh Fruit And Vegetables Or Greasy Cholesterol Rich Fast Food With Two Dinner Forks Competing To Decide What To Eat. 免版權照片，圖片，畫像及圖片庫. Image 42846553. 版權商用圖片 - Diet struggle and decision concept and nutrition choices dilemma between healthy good fresh fruit and vegetables or greasy cholesterol rich fast food with two dinner forks competing to decide what to eat.